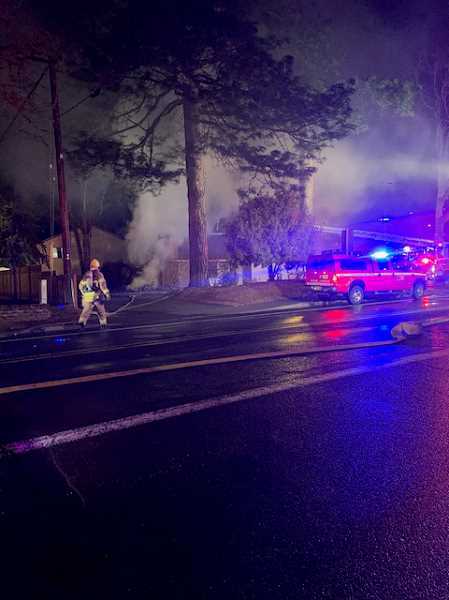 Tigard police and Tualatin Valley Fire & Rescue officials are conducting a criminal investigation following a fire that burned a commercial office building on Hall Boulevard early Tuesday morning. The fire was reported at 3:10 a.m. in the 12500 block of Hall Boulevard where emergency personnel set up a buffer zone in the area, closing off the roadway along Hall Boulevard between Commercial and Scoffins streets. No employees were in the building at the time the fire broke out.